On arriving in Delhi, meet our representative who helps you in assisted transfer to your hotel. The day is at leisure. Staying overnight in Delhi. The second day of the tour is booked for visiting the attractions of Old (after lunch) and New Delhi (after breakfast). The list of attractions is going to include Laxmi Narayan Temple, India Gate, Parliament House, Jama Masjid, Red Fort and Gandhi memorial. In the evening, attend sound and light show. Overnight in Delhi. Begin driving to Agra, after having your breakfast. Once you reach Agra, complete the check- in formalities at your hotel. Later, leave for sightseeing where you cover attractions like the Taj Mahal – one of the Seven Wonders of the World, a beautiful white-marble mausoleum. The other visit of the day is Agra Fort, an amazing architectural masterpiece, also known as Red Fort. In the last, visit the Itmad-ud-daula's Tomb. Staying overnight at the hotel. On day 4, once you have your breakfast, hit the road to go to Jaipur. On the way, stop at Fatehpur Sikri, the old deserted capital of Mughal Emperor Akbar. Explore its various structures including Jama Masjid, Buland Darwaza, Palace of Jodha Bai, Birbal Bhawan and Panch Mahal. Once you reach Jaipur, you get an assisted transfer to one of our listed hotels. The rest of the day is free for leisure activities such as exploring the local market or relishing the sumptuous food. Stay overnight. The morning of the 5th day of the tour is for a short-trip to Amber fort where you will enjoy an elephant ride to go its entrance as it is located on a hilltop. Have lunch and continue with sightseeing including the City Palace that has beautiful courtyards, gardens and other structures which are a perfect blend of Rajasthani and Mughal architecture. The other visits are Jantar Mantar, the Royal Observatory, Ram Niwas Gardens and Hawa Mahal. If time permits, you can shop at the Bazaar etc. Stay overnight. On the morning of the 6th day, hit the road to go to Jodhpur. Upon arrival, check in at your pre-booked hotel. The day is free for leisure activities where you can stroll around the market, can taste the Rajasthani delicacies, can have a chit-chat with the locals and so on. Stay overnight. Today, you visit the attractions of Jodhpur. The first visit is the Mehrangarh fort – situated 400 feet above the city, it is one of the largest forts of India. The next visit of the day is Jaswant Thada –an architectural marvel made up of white marble and later, a group of royal cenotaphs. Have lunch at a palace hotel. The other part of the day is for exploring the market where you can shop for fine handicrafts such as embroidered shoes, Jodhpuri pants (breeches), metal knick-knacks, painting, silverware, tie and dye fabrics and more. Stay overnight in Jodhpur. After breakfast on day 8, start driving towards Udaipur. On the way, you halt at the Ranakpur temples – a well-known Jain pilgrimage center, also referred to as one of the 7 wonders of India. Known as Chaturmukh group of temples, they are every year visited by devotees in large number. 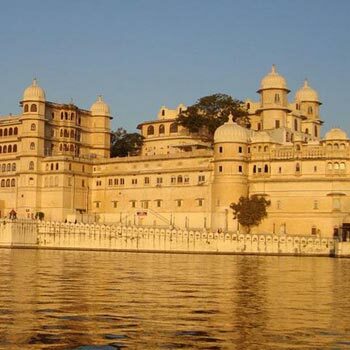 Once you reach Udaipur, complete the check-in formalities at your pre-booked hotel. Spend the day at leisure in doing the activities of your interest. Stay overnight. Post breakfast, the day is fixed for sightseeing. 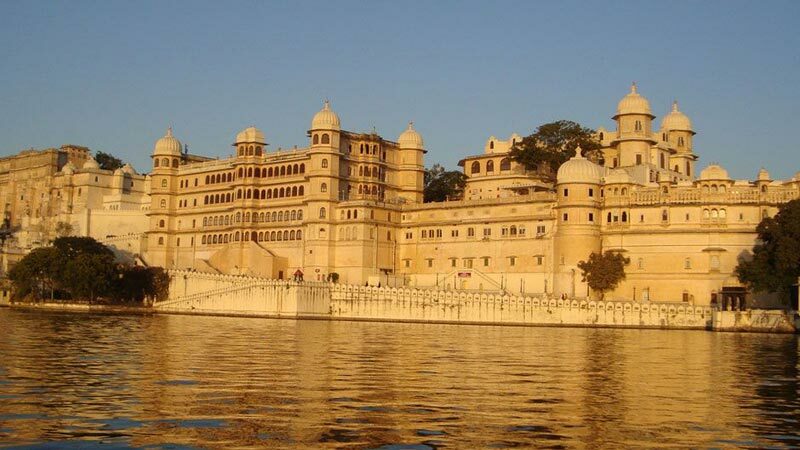 The list of visits of the day include City Palace- a palace complex constructed by Maharaja Udai Sing amidst Lake Pichola, Jagdish Temple- earlier known as the temple of Jagannath Rai that is dedicated to Lord Vishnu, Fateh Sagar Lake- an artificial lake known as the pride of Udaipur, Saheliyon-Ki-Bari –the courtyard of Queen's friends and Bhartiya Lok Kala Mandir – a famous museum housing an amazing collection of Rajasthan's folk articles. Stay overnight. Today is the last of the tour when you get transferred to the airport to board a flight to Delhi. Once you arrive, get transferred to your hotel. The day is free. If you want then you can simply relax in your room or can indulge in leisure activities. Post dinner, get transferred to the airport to board an onward flight.